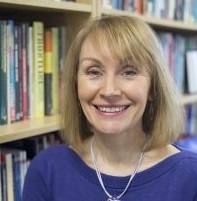 Jackie Harrison is Professor of Public Communication and Head of the Department of Journalism Studies at the University of Sheffield. Her current research examines three aspects of the factual media: its architecture and culture; the mediation of civil society and social identity and issues of freedom and standards. With regard to issues of freedom and standards and her research for CFOM she is concerned with different legal and policy regimes, self regulation and codes of conduct and the concomitant risks of direct (and indirect) censorship; the failures and abuses of news media freedom and declining news standards across the world; the difference between journalism and partisan journalism, investigative news journalism and attack journalism; agenda-setting and modern forms of spin and news manipulation; the blurring of the distinctions between factual reporting and unsubstantiated opinion; the use of user generated content and the wider use of inter-activity between news media and audience or readers and more recently the significance of convergence between conventional press news, TV broadcast news and internet video news. Jackie has also served as an expert advisor for both the European Commission, The Taiwanese government and for Chinese media companies on the role and future of news and news journalism, the development of media infrastructure and the use of media capital and newsroom convergence. She has undertaken six funded research projects for the television industry, acted as a consultant to information and communication firms, broadcasters and public sector bodies, was an expert witness on a judicial review of Irish radio licences and have served on several professional journalism committees. She also serves on the editorial board of the community newspaper The Maltby News. Visit Jackie’s University of Sheffield staff page.